Scott Young, DDS Contents Prince A. Prince had a bridge in the front of his smile that had become discolored. He had also experienced significant recession under the bridge, which threatened to create visible space. He was also unhappy with some discoloration and crookedness in his natural teeth. 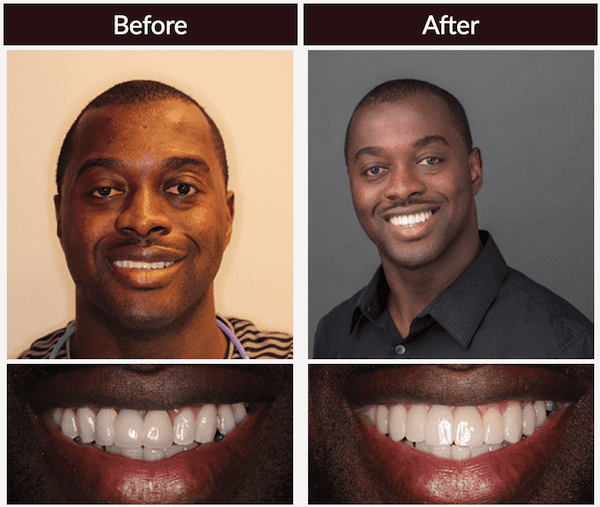 We placed ten new porcelain restorations, giving him a brighter, straighter smile.